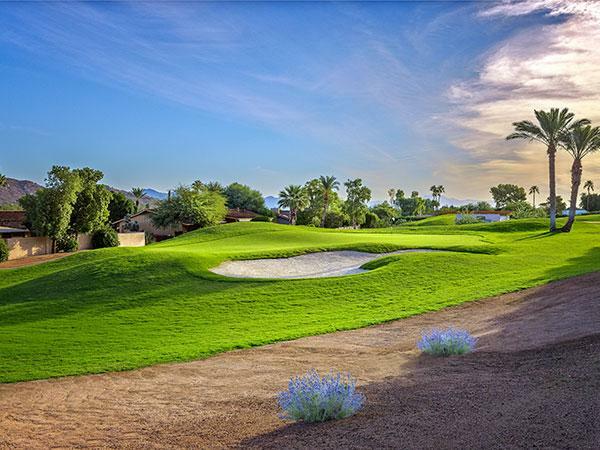 In this episode of the TurfNet Renovation Report, host Jon Kiger chats with golf course architect Forrest Richardson about the 2017 renovation and re-invention of the Short Course at Mountain Shadows (and resort) located near Scottsdale in Paradise Valley, Arizona. 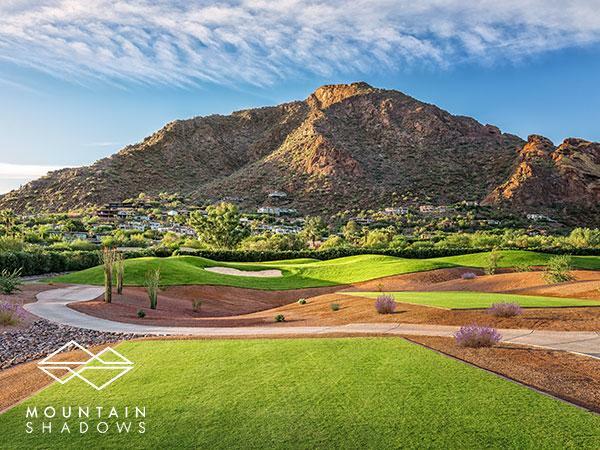 The original golf course at Mountain Shadows was designed and built in 1961 by Arthur Jack Snyder. 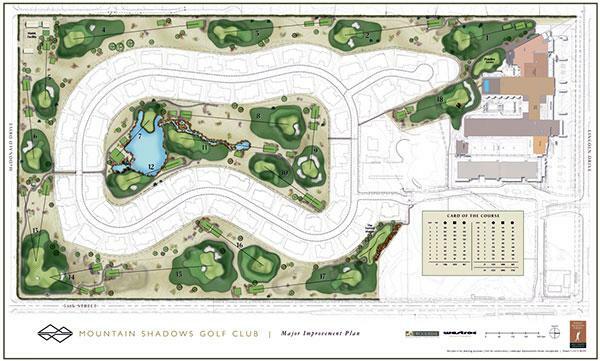 Course architect Forrest Richardson, one of Snyders students, completely redesigned the course to be a true par-3 with an eye toward retaining the fun for golfers, maintaining the diversity of golf holes, controlling pace of play, and containing maintenance costs while increasing the revenue potential of the facility. 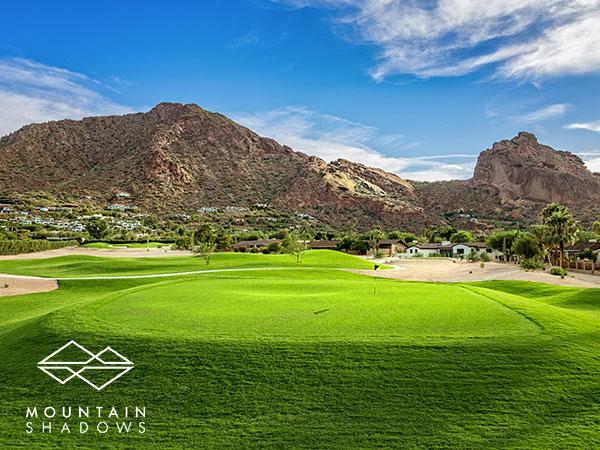 With 18 holes ranging from 200 yards to 75 yards, the footprint of the Short Course at Mountain Shadows was reduced from the original 40 acres to 33 acres, with only 13.5 acres of managed turf. The reclaimed seven acres were converted to residential purposes which made the entire project attractive and successful financially. The 17.5 hole, the Forrest Wager -- named after Richardson -- is a par 2 golf hole where the object is to play against your opponents in similar fashion to the golf game Bingo Bango Bongo. One point is awarded for the closest to the hole on the first shot played, another for the first player to hole out and a third point for the lowest score. 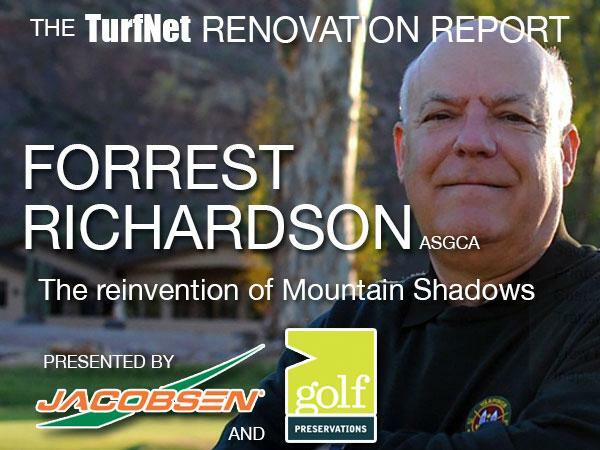 The TurfNet Renovation Report is sponsored by Golf Preservations and Jacobsen.